If you want to use your own bicycles, make sure your heels (NO tip-toeing) can firmly rest on the ground comfortably when you sit on them. You can then decide to have the cycling lessons at your preferred places, eg. near your houses or offices. However do take note that I will need a training ground at least half the size of a basketball court. Look around your areas. Places we can possibly use are pavilion halls, basketball courts, multi-story car parks, etc. If you are not sure, you can send me some pictures and I can tell you whether the ground is suitable for cycling lessons. If the the suggested grounds are crowded, we will also have to consider the safety of other users. Beside on weekend, you can also opt to do a 2 hours cycling on weekday evenings if you are using own bicycles. Please state it in the booking so that I can make arrangement. Alternatively, you can rent at the following bike rental stations. I will meet you at the bike rentals and choose a suitable bike for you. 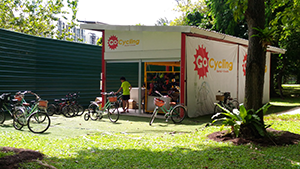 Please take note that most of the bike rental stations operate between 10am – 7pm. So we can only have bicycle lesson on weekend if you are renting from them. All bike rental fees will be adsorbed by learners. I am not connected to any of the bike rentals and I don’t get any benefits for bringing students to rent their bikes. 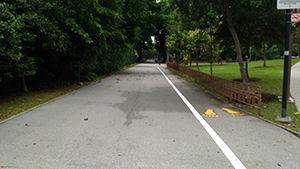 If you are driving, you can park at Blk 454 Hougang Ave 10, the bike rental is just across the road. The nearest MRT station is Buangkok. 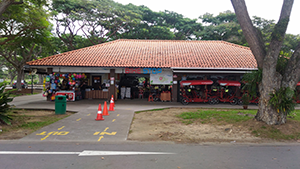 This bike rental is next to car park E2, beside the Lagoon Food Center. We will rent the bikes here and proceed to the learner track for lessons.